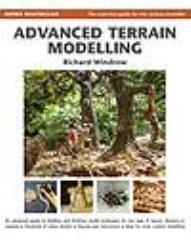 The secrets of terrain modeling are revealed by Richard Windrow, one of the world's leading modelers. Everything from castles to the destruction wrought upon modern cities by war is covered in this accessible book. Explore the difficulties of creating a desert landscape, from the sandstone of Arizona to the wastelands of North Africa. Discover the handiwork needed to create the barbed wire death traps of No-Man's Land and the wilderness of Russia in winter. The variety of seasons, environments and historical periods are detailed in over 200 step-by-step photographs answering a modeler's 'how to' questions. Accompanying these photographs is an invaluable guide to the materials and techniques needed to create top-quality terrain, providing the essential reference volume for the military and non-military modeler alike.